“It’s been a great ride! 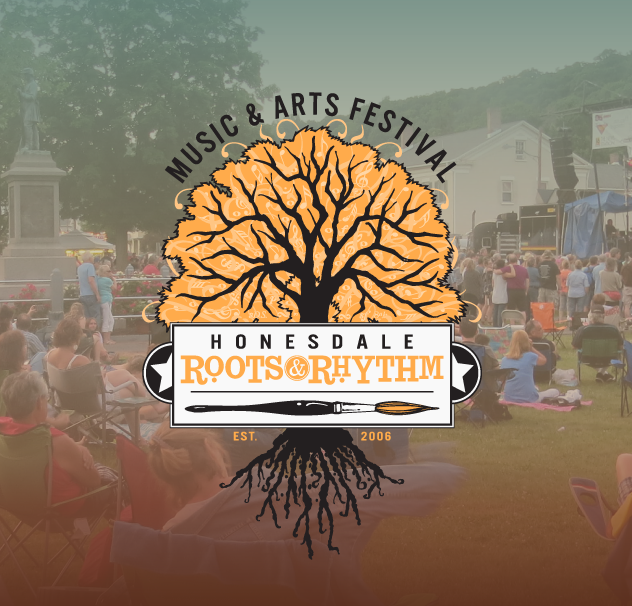 And I hope it continues with others in the drivers’ seats,” says Gail Bradley, a co-founder of Honesdale Roots & Rhythm Music & Arts Festival. The festival just concluded its 12th year, and Bradley expects next year will be even better—with others at the helm. Bradley is retiring from the Board, along with Deb Bailey, Brian Fulp and Lisa Champeau. Bailey and Fulp have been with Roots & Rhythm from its humble beginnings in 2006. While Champeau only joined the Board in 2014, she has worked on the media committee since 2008. Board members meet throughout the year, although meetings are more frequent closer to the festival, which happens the third Saturday in June. They also attend committee meetings. If you or someone you know is interested in joining the board, send an email explaining your interest and qualifications to ghp@visithonesdalepa.com. All candidates must be nominated by a committee member. The nomination process includes an interview. Nominations are due by September 8. ← Free Outdoor Movie Night!